It’s common for automakers to give labels to their more fuel-efficient offerings, whether that efficiency is real or perceived. It’s marketing and sales at its finest. There’s Ford’s EcoBoost line of engines as well as Chevrolet’s Ecotec and eAssist. And of course there’s Toyota’s Hybrid Synergy Drive electric/gas system. 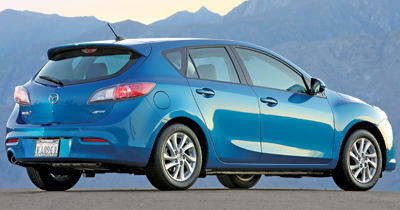 Mazda, however, has taken the name game one step further by branding a whole car with its new “Skyactiv” magic wand. The rationale behind this approach is straightforward. Mazda thinks traditional gasoline and diesel engines will remain the most popular form of automotive propulsion for the next few years. It therefore makes sense to continue refining those powerplants to be more efficient rather than spending millions of dollars on alternative-fuel vehicles, which make up a tiny slice of the pie.